The release of James Cameron’s Avatar in 2009 changed everything for Luc Besson. For years, the French director had been pestered by Jean-Claude Mézières – the illustrator behind the comic book series Valérian et Laureline, written by Pierre Christin – to create an adaptation of his work. He’d always reply in the negative, noting the absurd alien to human ratio of the source material. But after Cameron showed that technology wasn’t a barrier, Besson started to consider it seriously. He ditched his original script and rewrote the whole thing from scratch. Of course, there was another barrier to be crossed: budget. Science fiction and fantasy projects are notorious for the money they require to properly make, and Valerian and the City of a Thousand Planets now stands as the most expensive French production of all time, at $209 million (about Rs. 1,346 crores). It’s also unique in how those resources have been gathered, independently without a big studio involved. Besson produced the film with his wife Virginie Besson-Silla under his banner EuropaCorp, and he pre-sold the regional distribution rights to raise most of the money. Valerian is set in the 28th century, but it begins centuries earlier with the history behind Alpha, which began as a space station, and has grown into a giant floating city involving thousands of species from a thousand planets. Here, each species has brought its own knowledge and culture to share with everyone else, and together they have made Alpha a most coveted place to be for any lifeform. It was carved as a utopia in Christin and Mézières’ vision (though they called it Point Central) and Besson embraces that wholeheartedly. The comics follow two spatio-temporal agents called Valerian and Laureline, but in Besson’s film, they are simply federal agents. 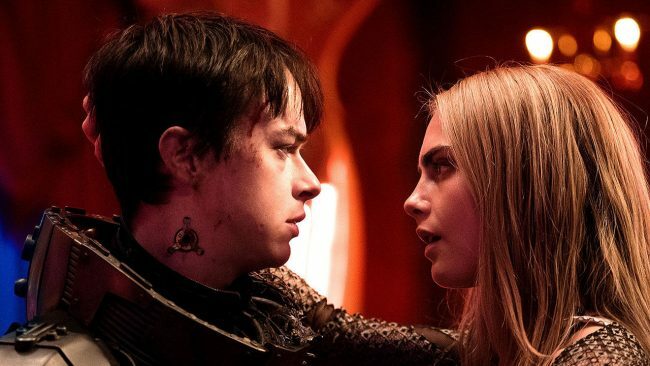 Dane DeHaan (The Amazing Spider-Man 2) plays self-assured Major Valerian, and Cara Delevingne (Suicide Squad) plays his reluctant junior, Sergeant Laureline. The two are tasked by their superiors to retrieve a last-of-its-kind animal with otherworldly powers, but the mission slowly unravels a political conspiracy that threatens humanity’s future at Alpha. The movie’s plot is paper-thin, to put it mildly, and it exists purely to draw you into the endless riches of Alpha as provided by the comics, and brought to life by Besson’s imagination. The writer-director is more interested in bowling you over with the visual splendour of his universe, than in exploring his two main characters. His creations involve a super-sized bazaar in another dimension that can only be accessed by wearing special goggles, a neon-filled red-light district that serves as a means to bring in Rihanna as a shape-shifting alien entertainer, and a chase sequence where Valerian runs through walls simply to show us how unique a place Alpha can be. Through it all, Besson makes heavy use of CGI imagery to spin a virtual camera through the action, which is dizzying and further disorienting in combination with the film’s 3D nature. It leaves behind a kaleidoscopic blur of colours that’s meant to show the breadth of Besson’s creativity – along with the work of cinematographer Thierry Arbogast and VFX supervisor Scott Stokdyk – but it’s hard to find coherence amidst the camera-work and action. Valerian is possibly over-imaginative to a fault. In focusing so heavily on its visuals, Besson forgets to delve into his characters – Valerian and Laureline – beyond their surface. Throughout the film, Besson keeps revisiting their only known qualities. Valerian likes sticking to his mission goals and following the rules. He loves beaches, and repeatedly brings up the subject of marriage with Laureline like a broken record. Laureline meanwhile can take care of her self, and she’s always cross with his attempts to side-line her, and his ungrateful nature. The script wants her to be dismissive of his pining, but it also knows that it only has two hours for them to end up together and rushes through a forced romance as a result. If this was a serialised story, Besson could’ve gotten away with a thin plot and thinly-sketched characters, as we would’ve learnt more about Valerian and Laureline through their adventures and the hardships they would be put through. But a two-hour film can’t achieve that on its own, and the fact that Besson is interested in delivering multiple sequels is no excuse. For all its visual inventiveness at times, Valerian’s script is also far too conventional, predictable, and frankly, nonsensical. There is a catastrophic wrong committed on non-violent people who lived in harmony and peace on a paradise. There’s a high-ranking officer who’s complicit and looking to cover up his tracks, while his subordinate is good through and through. Rihanna’s entry hits pause on the film’s momentum, making you think she must be important to the plot, but her character is then given a convenient send-off soon after. The sci-fi genre has come a long way since Christin and Mézières came up with their wildly-imaginative world in 1967. Besson has cited 2001: A Space Odyssey, and the first Star Wars as inspirations himself, though it has more of the latter’s idiosyncrasies than the former. The uniforms and the space ships borrow from Star Trek, and the film’s central mystery species are a variation of Avatar’s Na’vi. 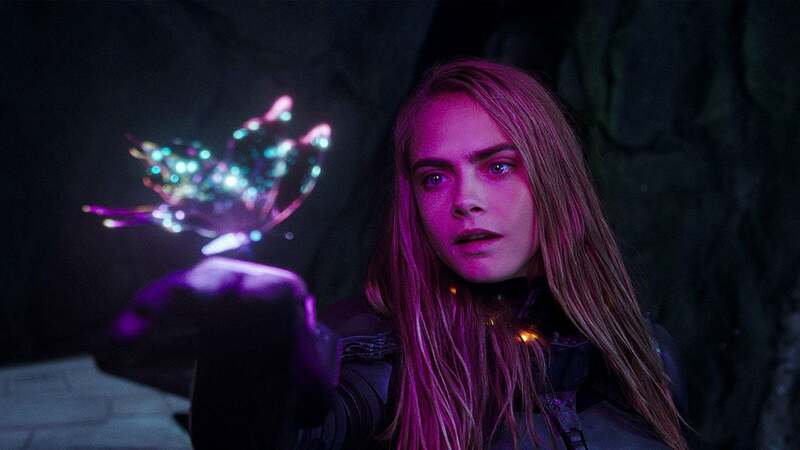 That Besson has managed to put together this undertaking on his own is a testament of his passion for the project, but its core failure of the relationship between Valerian and Laureline – and the lacklustre chemistry of DeHaan and Delevingne – left us feeling disappointed. For a world that brings together the four corners of the universe, it’s a shame that we’re being told the same empty tale that we’ve seen a thousand times.